Evernote For iOS Finally Lets You Sketch Within Notes on iPhone And iPad, Adds Split-Screen like Evernote Sketching is finally available for the iOS version of Evernote, supporting the use of the Apple Pencil, traditional styluses and even the new 3D Touch feature. 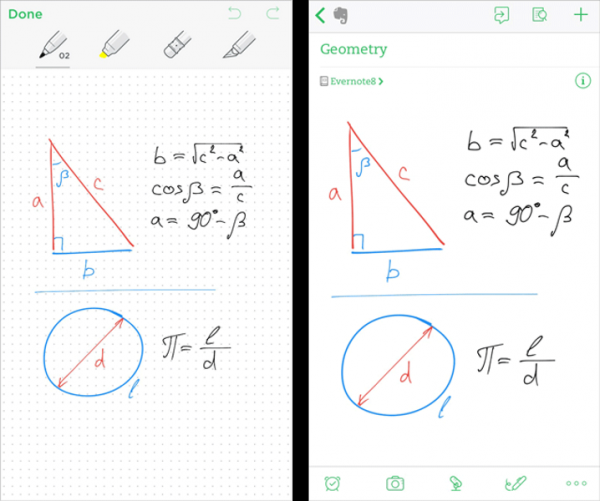 The updated Evernote for iOS adds split-screen support as well. Evernote has finally updated its iOS app with new features that will surely come in handy. Users can now sketch right within a note, something that has been possible with the Android version since 2014. Split-screen is also in the mix, making things more convenient for iPad users. iOS users can use the new sketch feature to draw within an already opened note, or create a new one. The app supports drawing with the new Pencil for the iPad Pro, but users can also draw things using one of the many third-party stylus accessories available for the iPhone and iPad.